The reference board is actually a really cool thing: I board I can use with the tutorials and don’t have to mess up with my hardware first (more about this later). 💡 The reference board is sold separately too, but did not find it in the Segger web shop. The trace test points are available on the board, and if more pins would be available (e.g. for a header row), that could be a cool general purpose board too. As with other Segger probes, there is Windows, Linux and Mac OS host support. 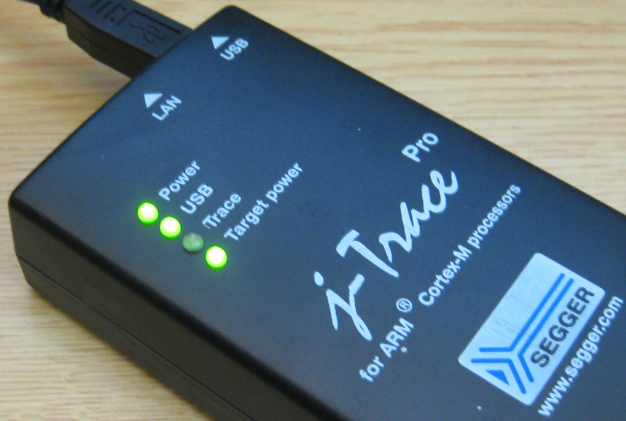 I have used the J-Trace under Windows. 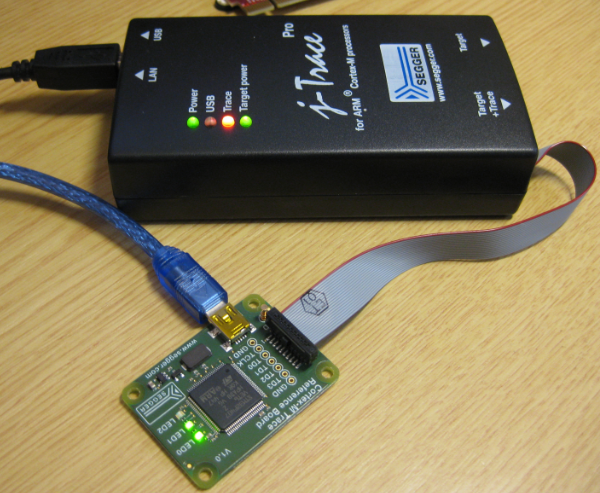 The probe can be used like a normal Segger J-Link debugging probe, e.g. 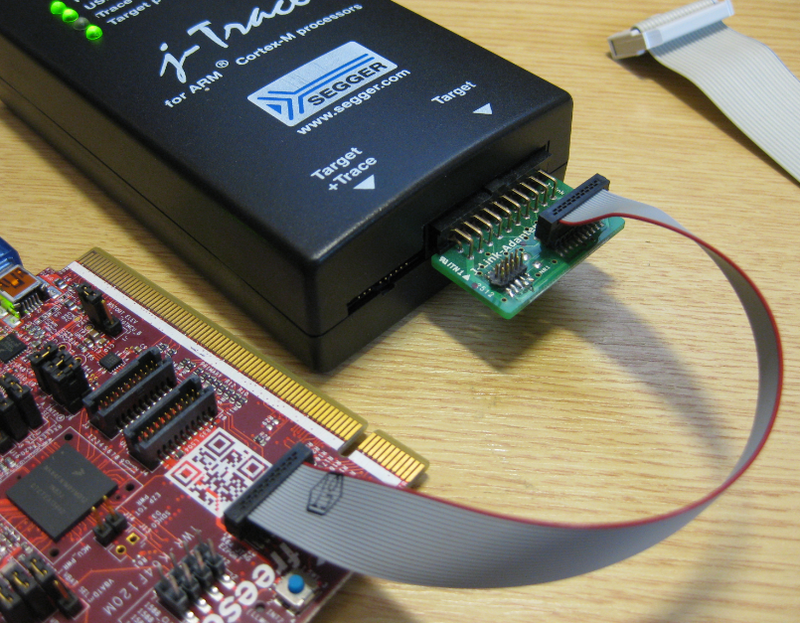 with the NXP Kinetis Design Studio or any IDE which supports the Segger J-Link probes. 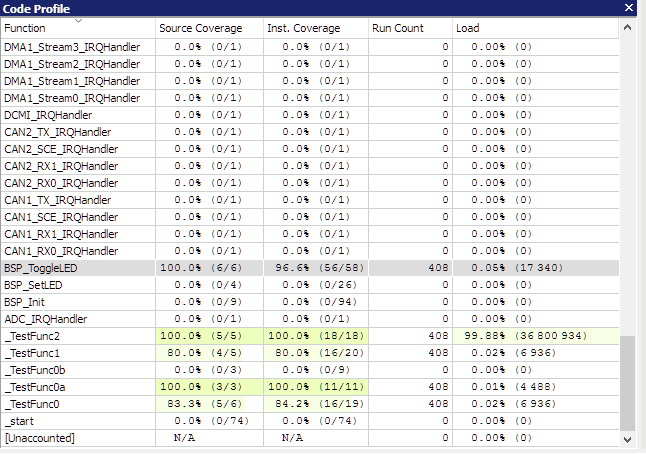 What I noticed compared to the Segger EDU or the OpenSDA implementation that it is much faster downloading :-). The Eclipse based Kinetis Design Studio does not include trace capabilities. CodeWarrior does, but all my current NXP projects are running either with LPCXpresso or with the NXP Kinetis Design Studio, and CodeWarrior is kept only for legacy and maintenance projects. I saw that the Segger documentation and tutorials mention Ozone. 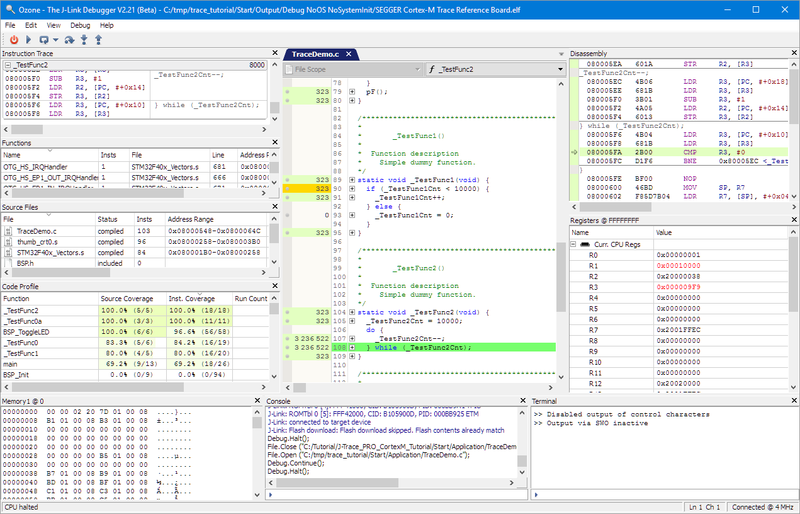 Ozone is Segger’s own debugger which of course supports the J-Link debug probes. The download/installation comes with a few CMSIS-SVD files, but I can download and add more SVD files (see for example “CMSIS-SVD Register Files with Eclipse MARS and EmbSysRegView“). Views can be moved around and put over each other to have a ‘tabbed’ view. 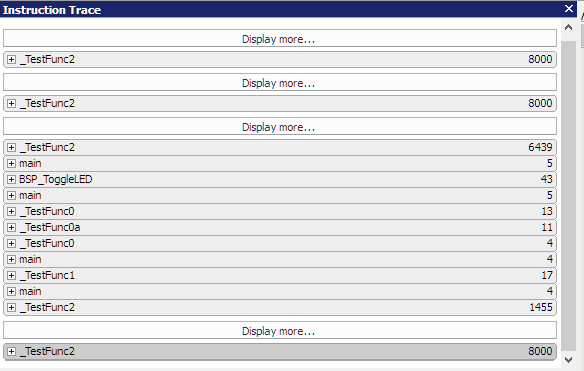 Views can be moved out of the main window, such as to be placed on a separate monitor display. I miss the ability to jump directly to symbols (aka ‘go to declaration/definition’), but I understand that this is more of an IDE feature. The ‘Download & Reset Program’ does exactly that. There is no way in the UI to specify say a temporary breakpoint on main(). Trace gets streamed to the host application (Ozone) is almost ‘unlimited’ that way, and I was able to collect trace for a long time. While I wish that would work the same way in Eclipse, unfortunately there is no Ozone Eclipse plugin (yet?). 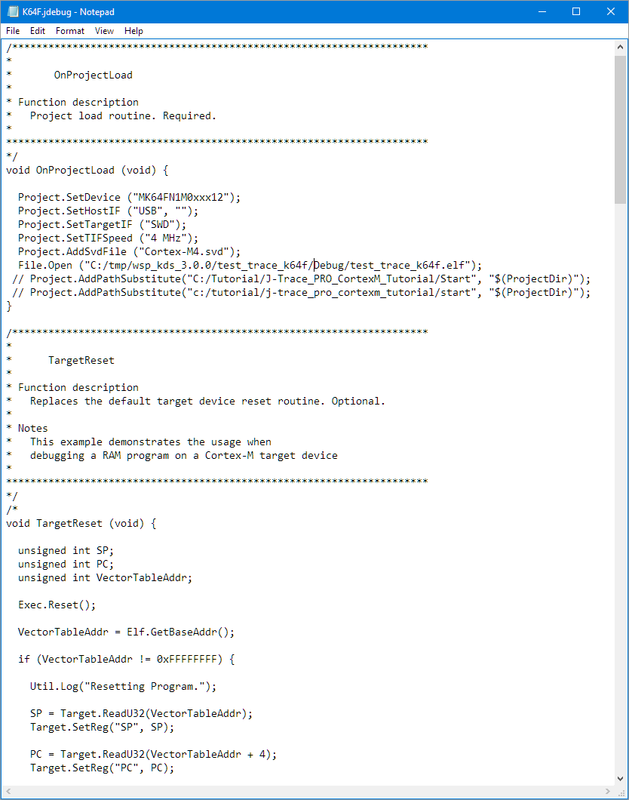 Just imagine: getting the instruction trace and profiling information into Eclipse, that would be fabulous :-). Again, an Eclipse plugin would be the preferred solution, but the above way works well. 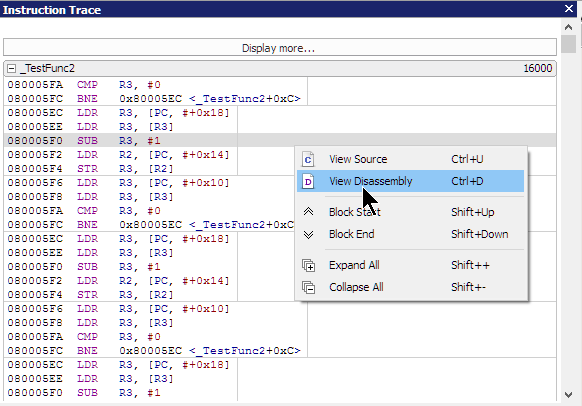 The J-Trace works really nice in combination with the Ozone debugger. First I thought that this Ozone debugger is not necessary. 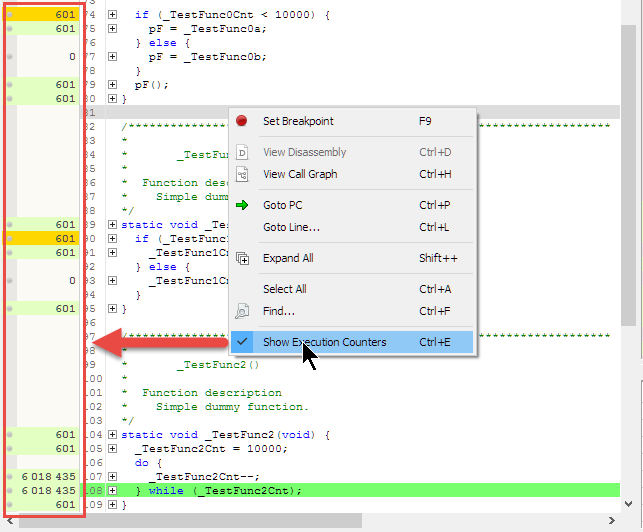 But it makes sense, plus it can be used with Eclipse or any other IDE. 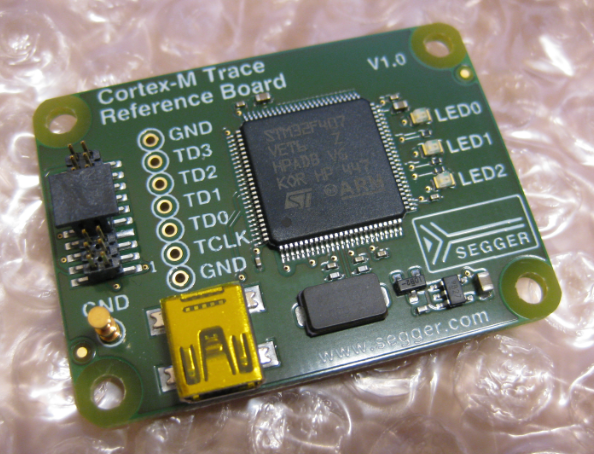 I was able to get trace with Ozone, J-Trace and the Cortex-M Trace Reference board in a very short time early this Sunday morning. But I have spent the rest of the day to get trace out of my TWR-K64F120M board, so I have to come up with a follow-up article. This is why I think Segger includes that trace reference board as a starting point: Getting trace out of the Tower board was not easy because of wrong board documentation and example code, and trace pins used for other board components. This is not the fault of Segger, but it made it clear to me why Segger provides that reference board: “it simply works”. This entry was posted in ARM, Boards, CPU's, Debugging, Eclipse, Embedded, Freescale, KDS, Kinetis, NXP, STMicroelectronics, TWR-K64F120M and tagged ARM, ARM ETM, arm gcc, Cortex-M, Debugging, Eclipse, Flashing, Freescale, J-Link, J-Trace, NXP, Ozone, profiling, Segger, software project, technology, tool chains, Trace, Tracealyzer, TWR-K64F120M by Erich Styger. Bookmark the permalink. Nice tutorial, thanks for sharing it. What you say about TRACE Tool from iSYSTEM ? Hi Erich, great review, have you considered using the ethernet port? I received my Jlink Pro today. ( just the Jlink for now) I opted for the Jlink-Pro incase in future I might need Galvanic isolation from the target due to safety or noise issues. The other situation where debugging over ethernet could be useful but also the ability to debug something that is somewhere on a network and not in proximity to the development machine. 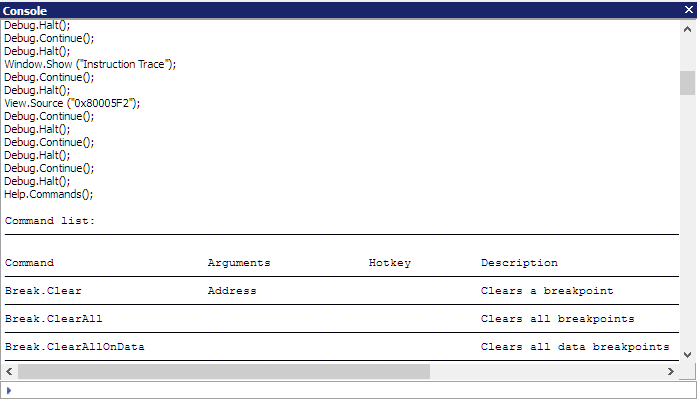 This leads to the question, could you trace debug something if its located in another country ? Yes, I do consider using the Ethernet port (I just had not had the time yet). I wanted to use it for a project where I need galvanic isolcation. Using a WLAN router and the Segger connected I can do remote debugging without wire/physical connections for safety reasons. About your question: I think that will depend to some extend on network packet latency and network bandwidth. But as long as the needed ports are open and you can access the hardware (VPN, maybe?). Have you considered the Segger Remote tool (https://www.segger.com/pr-j-link-remote-server.html)? We are using gnu arm debugger with J-Link as GDB server, we are looking for paid alternative but not as costly as J-Link base. 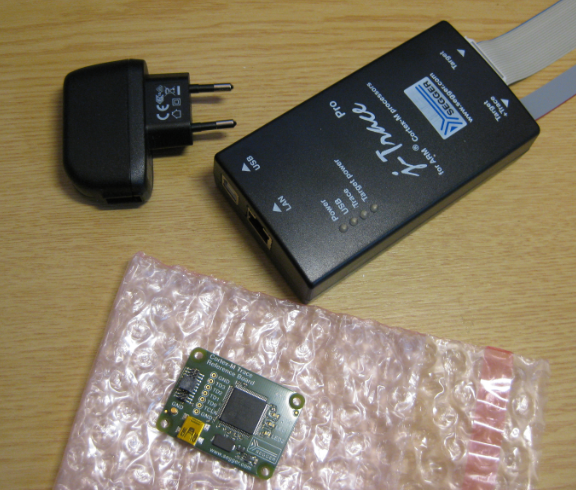 we can’t use J-Link lite cortex-m as its license says that it can be used only with eval kit with which it came. 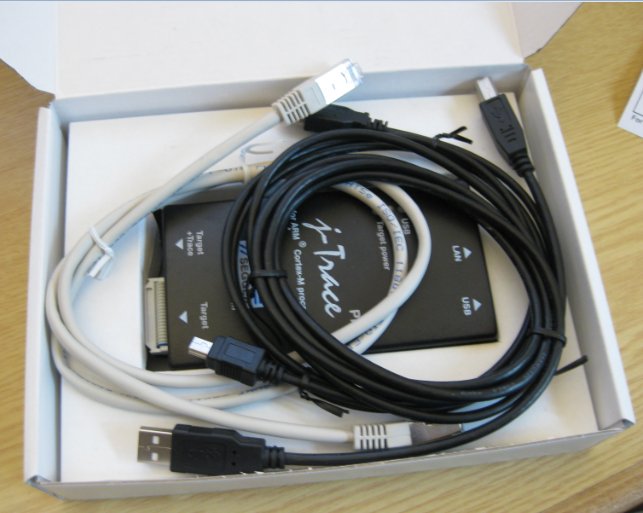 Have a look at the J-Link EDU (for educational and non-commercial usage), maybe this fits what you are doing? I have a J-Link EDU as I only began approaching ARM last year, while I own a ton of stuff for AVR. 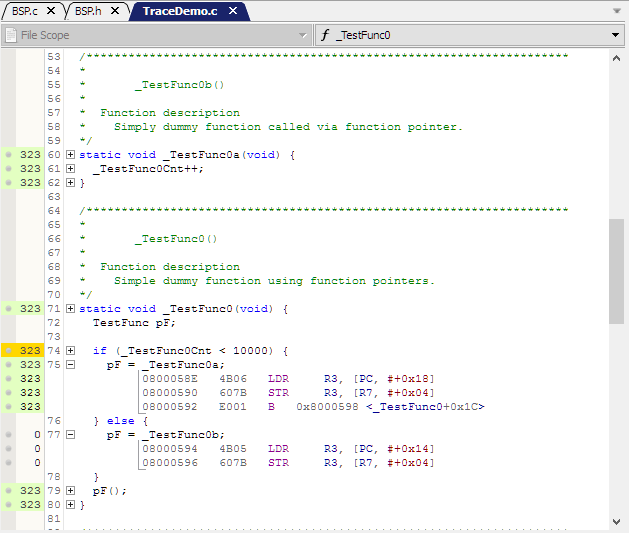 The only downside I see is that the J-Trace as a tracing unit is not well supported in open IDE’s as Eclipse. This looks interesting. The disassembly live in the code is nice. If you expand the section does it automatically step through the assembly? Do you think it could be scripted to optionally start System Viewer or is the scripting only for dealing with the chip itself? 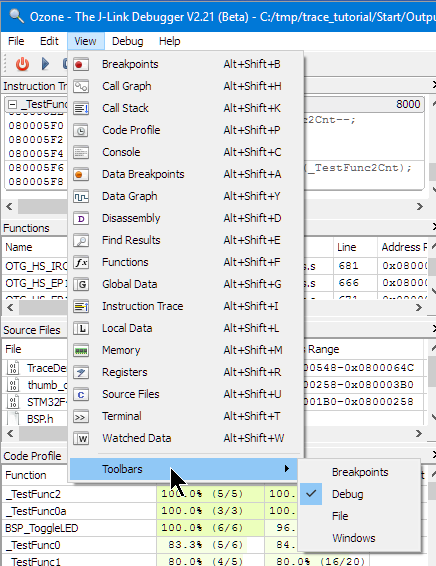 How does the call stack behave with FreeRTOS or any RTOS? Are you able to see multiple tasks and their call stack? 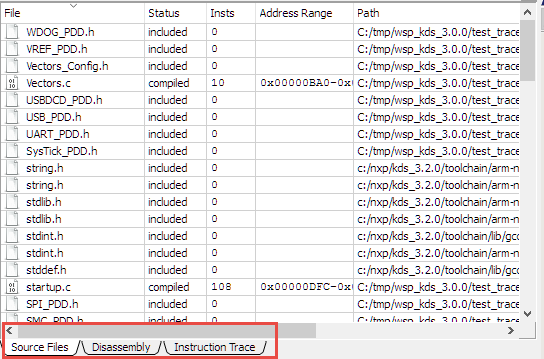 yes, if you expand the assembly code setion, it does a assembly stepping in this section automatically. I have not tried much of the commands, but there are things like Target.GetReg which are dealing with the target, or things like Target.ReadU8 so this is definitely possible. The call stack does (at least currently) does not show multiple task thread stacks, it just shows the current context. But maybe this is something Segger considers as a future feature already? ups, sorry! Ozone *does* support RTOS awareness, see bottom of https://www.segger.com/ozone.html. I have not tried that yet, but certainly is able to do this. I will check it out myself too. 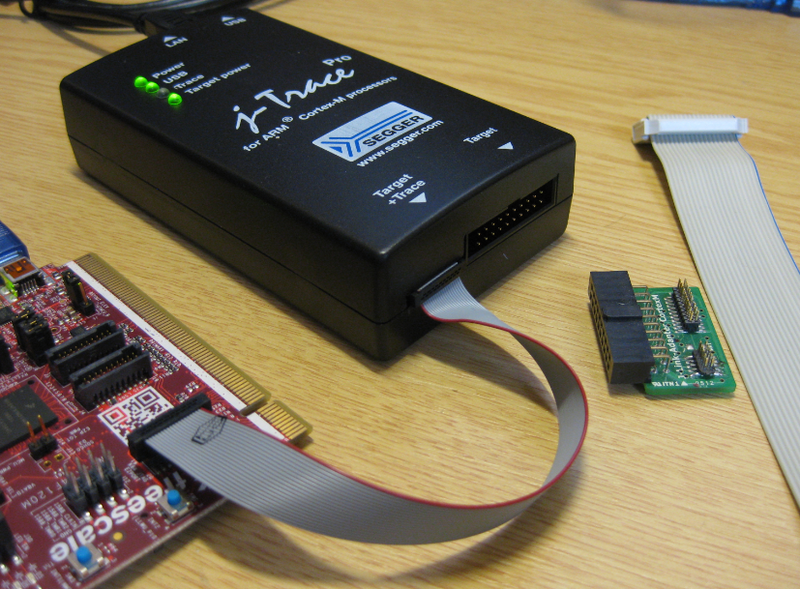 we bought the same j-trace pro from Segger to trace a K64 project with a multi-stage bootloader. Therefore we need to “Attach to Running Program”. 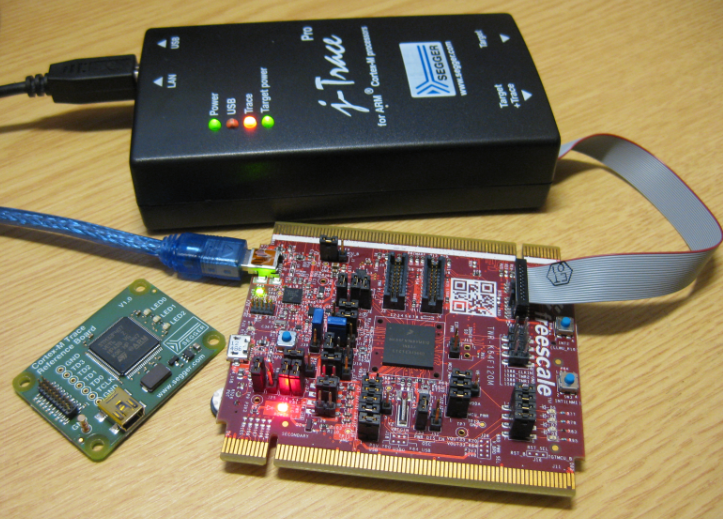 We are testing with the STM32 reference board and the TraceDemo project. Unfortunately the trace capability only seems to work with the option “Download & Reset Program”, but not with “Attach to Running Program”. Do you have a similar experience, or have we made something wrong? I have not used ‘attach’ (yet) with trace. But what comes to my mind is that you would need to turn on trace on the hardware. The attach itself (in my view) would not turn that on. You might need to write a custom script to turn on trace when you attach.